As a local Orlando management company we have a better knowledge of the area and the homes and can provide a higher level of service for your vacation rental home than if you rent through a mass reservations website, an app or from a single homeowner. None can offer the simplicity and service that we can. Rates start at $100 per night + 13.5% taxes. Our rates are clearly posted on the website and there are no reservations fees, no hidden extras, and no hidden fees. We make comparing our prices, simple and easy. Should you prefer to get a quote we’ll be happy to do it for you. Visiting the Orlando area probably the first thing you need to know is how close the house is to the theme parks and attractions. Located south of US 192 and west of Interstate 4 our vacation pool homes are at the heart of everything, approximately 5 minutes drive from the Walt Disney World resort which includes; Magic Kingdom, Epcot, Disney’s Hollywood Studios, Disney’s Animal Kingdom, Disney Springs, Typhoon Lagoon, and Blizzard Beach. It’s a short, easy drive from the vacation homes to the other major theme parks and waterparks including SeaWorld, Discovery Cove, Aquatica, Universal Studios, Volcano Bay, and Islands of Adventure. Shopping, dining, golf courses, movie theaters, Orange County Convention Center, and the areas’ other attractions are all an easy drive away. All our vacation homes are fully furnished and have all the amenities you’ll need. Each rental home has a private swimming pool, full kitchen, Wi-Fi, two car garage, and will be fully cleaned ready for your arrival. Homes are available with 3 or 4 bedrooms and all have 2 bathrooms. 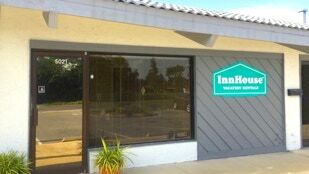 At InnHouse we know that your time is precious. Simply select your dates and the size home you need and we'll do the rest. Know that we are not just here to take your reservation and process the payment. For us there is nothing more rewarding than knowing our guests have had a great stay and having them recommend us to their friends and family. Find out more by selecting a type of vacation home.